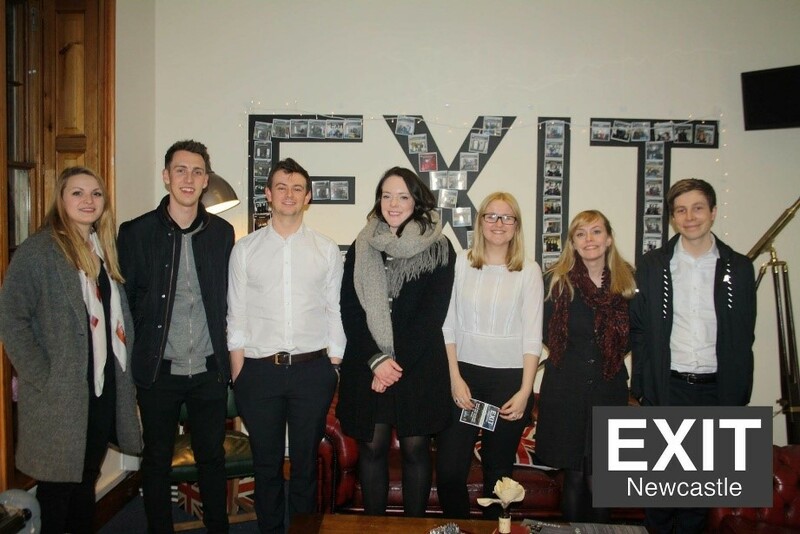 On 16th February 10 NCASS students tried valiantly but comprehensively failed to “Escape the Room” at Exit Newcastle. Split into two separate games, we began locked in two distinct rooms. Six of our team attempted to escape “The Attic.” Initially chained to a bench, they had to firstly free themselves from the bench and then solve a series of logical puzzles in order to escape the clutches of a mass murderer- who would have thought that murderers love lateral thinking to such an extent? Meanwhile, in the second room, a group of four were trying to simultaneously escape the “Volatile Laboratory” and stop the world being contaminated by a toxic chemical reagent. Again, solving logical puzzles seemed to be the key here, although it should be noted that these kind of puzzles are not adequate substitutes for proper laboratory safety procedures. Each team had one hour exactly to try and escape the confines of the room and the results were emphatic – the group trapped in the attic were promptly murdered whilst the group in the volatile lab were killed by the chemical reagent- presumably wiping out much of Newcastle at the same time. In the face of such a bleak outcome for both teams it may be said that there was little reason for joy – however, although we may all be dead, the friendships established in the claustrophobic conditions of the Attic and the Laboratory may well just live forever. Perhaps. Verdict: Friendship wins, pride loses. Many thanks to all who came and to EXIT Newcastle for allowing us to host this event!